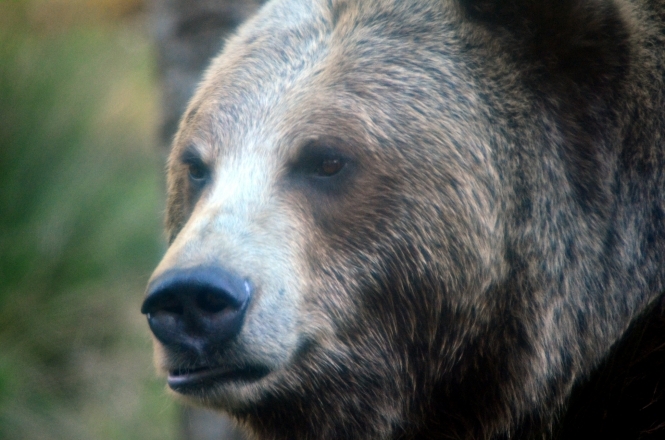 A young hiker from Nantes has spoken of his terror at being chased by a bear during a hiking holiday in the Pyrénées. Lucas Meurlet, 22, was hiking with his father and brother when he climbed a ridge - and found himself within 10 metres of a female bear and her three cubs. He told France Bleu Loire Océan that he turned to run, but the bear gave chase. "My legs were shaking. I started to see my life pass before my eyes," he said. Desperate, he stopped and faced the animal, arms spread wide in an attempt to make himself appear bigger. "She charged me twice," he said. "The third time, she opened her mouth." Mr Meurlet said he walked closer, before screaming as loudly as could. The bear turned away and fled. Mr Meurlet said he hid behind a bush while his father called the emergency services. Soon after three helicopters arrived and took the hikers to the refuge d'Eylie in Sentein, Ariège. "Clearly after that, you understand that life can stop pretty quickly," Mr Meurlet said.